It is essential to have a culture that nurtures and promotes the greatness of its people. In April of 2018, Harvard Business School held a course on the restaurant industry — the first ever in the school’s ninety-year history. I was honored to take part as a speaker in one of the lectures, but more importantly, I was happy to see the nation’s most elite business school focus attention on our industry, which is the second largest private employer in the United States and far too long overlooked as a major influencer on countless aspects of the American economy. How did you build such a successful business? Where do you find so many great people? The answer to the first question is simple: our incredible company culture, which is embedded in everything we do and is the single most important factor in our company’s success. The answer to the second question is essentially the same. We hire the same people everybody else does, but our culture nurtures and promotes their greatness. In my new book, Yes is the Answer. What is the Question?, I tell the story of our company and the story of our culture, which began before we opened a single restaurant, back when I was still a young man with a dream and a yellow pad and pen. I wrote down five questions and answers that articulated who we would be, why we would exist, and what we would believe and do as a restaurant company. These questions and answers became the pillars of our company culture along with a philosophy built on eight core values, all of which that have guided us for twenty-five years. I am confident they will continue to do so for the next twenty-five years to come. One of the most distinguishing features of our culture is that we place our associates first. Whereas most other restaurants say that their number one mission is to take care of their guests, we, on the other hand, make our associates our top priority. We have learned that when our associates are respected and cared for they give our guests great service and genuine hospitality. As a result, our guests become raving fans and return again and again. My book not only details our successes but also moments of failure and mistakes. I have written it for our industry, other service businesses, and anyone who is curious about our company. 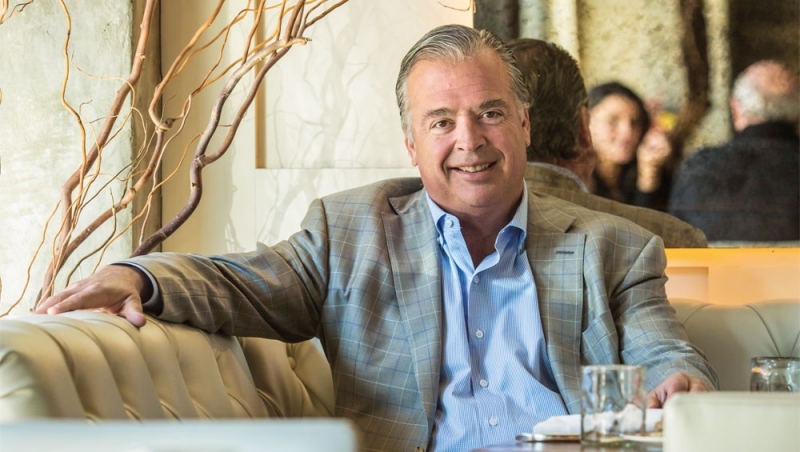 But most of all, I have written it for our people — those who work for Cameron Mitchell Restaurant Group now, and those who will join us in years to come. I also recount my own personal history, including my difficult childhood, my time as a teenage runaway and drug dealer, my search for purpose, my life-changing journey through the Culinary Institute of America, and my great fortune to have a wonderful family. I candidly share both highs and rock-bottom lows in the hope that I can inspire others. “Yes is the answer. What is the question?” is the title of this book because it has been a cornerstone of how we’ve done business since our earliest days. We see ourselves as great people who deliver genuine hospitality, and therefore we treat the guests in our restaurants the same way we would treat guests in our own home. It is therefore natural to us that when a guest asks us for something, we say yes. We go out of our way to care. Our yes attitude extends far beyond guest service. When an associate requests time off to care for family, or when a local charity comes to ask for a donation, or when a purveyor or other company we do business with asks for a favor, the answer is yes. Yes is not a tactic we use to manipulate people into working harder in a scheme of greater profit. Yes is the answer because it is who we are and the right thing to do. Our success is a by-product of that philosophy. Adapted from Yes is the Answer. What is the Question?. Copyright © 2018 by Cameron Mitchell. To be published by IdeaPress Publishing, on November 13, 2018.